There are two ways that I want to go with this post. The first way is in honor of Tax Day last Monday, with my favorite Tax Day political cartoon… even though I was minus-11 years old when said cartoon came out! 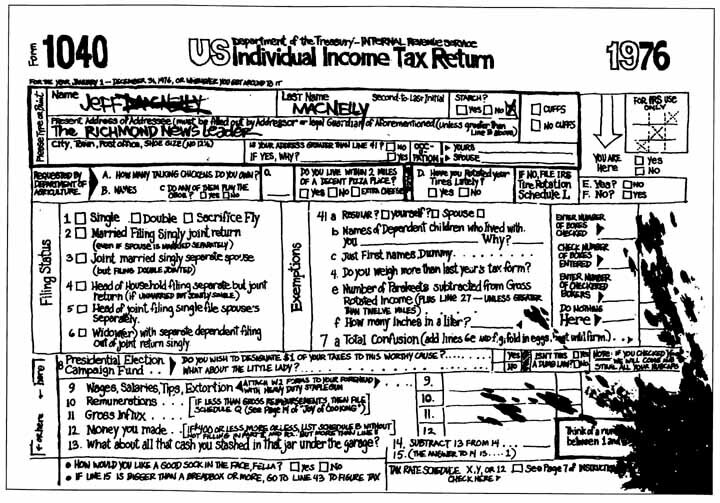 A political cartoon mocking the 1040 tax form in the USA. Image credit: jeff-macnelly.com. 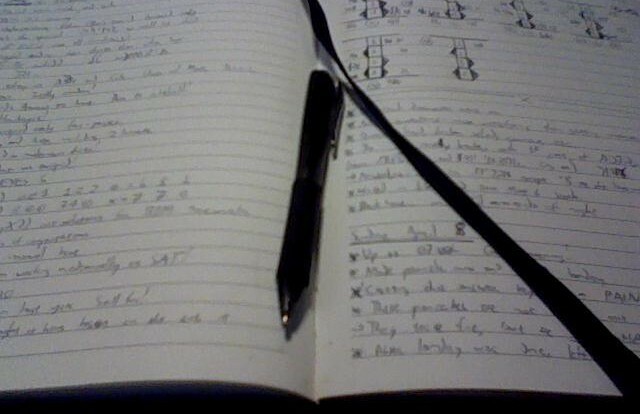 “If your handwriting is suspect (this is surprisingly true of many people!) then write in block letters.” ~Syllabus for Physics 213 (Intro to Modern Physics), Fall 2006, UNL. When I read this, I thought block letters literally meant “blocky” capital letters, so I think that most of my exams in that class were written in all-caps and with an unusual “block” pattern (like you might see on an electronic dot matrix display), rather than just “manuscript” letters. In math and physics, a phase shift is a translation of a function, especially a periodic function. For those who know me, each year since 2013, I have made one or two French silk pies for Pi Day. The pictures are below, and you’ll notice that one looks immediately nerdy, and the other one doesn’t quite look as much. But, there’s a story that will show the second one to have some nerdiness too! This semester is my second semester teaching at UW-Eau Claire, and unlike my second semester at the other places that I have taught, I have no new preps. This is excellent for me, because it cuts down a ton on the prep work. But, there’s still a little to comment on regarding that.